This home appliance is very helpful due to its ability to cook and reheat meals faster than a usual stove. A time-saving function is crucial for a daily routine here in LA, California! With the built-in shortcuts for commonly prepared food, reheat and defrost features, a microwave is a handy appliance. 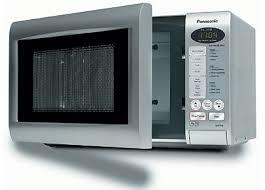 There are many service companies that offer microwave repair in Los Angeles. When you find yourself in need of professional and friendly service, get in touch with Magic Appliance Repair Los Angeles. From the older low-powered models to the new age microwaves that can accommodate even a big turkey, we service and repair them all. If your microwave is installed over the stove or built into the cabinets, it would be better to repair it instead of installing a new one. Our company offers a wide range of options to make a microwave repair as fast and stress-free as possible. Our team of certified specialists can deliver the same day microwave service in most of the cases. In addition to repair itself, we provide our customers with useful tips on proper usage of their microwave ovens. Choosing us for your Los Angeles microwave repair, your 100% satisfaction is guaranteed. With years of hands-on experience, we can say that microwave oven repair is an easy task.Get in touch with our team if you need to repair or replace faulty switches or buttons, damaged lights, broken doors or door latches. We will gladly assist you! As manufacturers keep on developing new models of microwaves, we continue to expand our knowledge in microwave oven repair techniques. With the options of convection cooking, sensors that detect food temperature,microwave oven becomes a significant investment. If there are any issues with your appliance,let our pros take care of it.Magic Appliance Repair Los Angeles is waiting for your call!